Government’s directive to port operators to achieve total paperless processing of operational clearance procedures at the ports from September 1 is close to being realised as the main technical partner to the Ghana Revenue Authority, the Ghana Community Network Services Limited (GCNet) has declared its readiness to implement the initiative. His Excellency, the Vice President, Dr. Mahamadu Bawumia at a recent Ports Efficiency Conference held in May this year directed that all trade transactions be fully paperless, as well as joint inspection by all regulatory and examination bodies mandated to do and removal of barriers along the trade corridors of the country. According to the Executive Chairman of GCNet, Dr. Nortey Omaboe, the company had already deployed the infrastructure to give full effect to the pursuit of the paperless transactions regime, noting that “it is on record that GCNet provided a paperless clearance system several years earlier, and won a World Customs Organisation Award as far back as January 2014”. Speaking at the second edition of the National Trade Facilitation Awards in Accra, Dr. Omaboe observed that ‘we at GCNet are mindful of the fact that an effective and efficient trade development and facilitation is dependent on a number of players and systems in the value chain, including exporters, cargo tracking, warehousing, freight forwarders, payment systems- e-payments, free zones, regulatory bodies, shippers among others. All these activities in the trade facilitation chain at the various ports are enabled by an electronic system powered by GCNet”. He assured that GCNet was therefore collaborating with its diverse stakeholders including the Ghana Ports and Harbours Authority (GPHA), Ghana Institute of Freight Forwarders, Ghana Airport Company, the terminal operators, the courier providers, and scan operators in the value chain to ensure that this objective was fully realized within the timeframe stipulated. Dr. Omaboe explained that GCNet recently deployed the e-CITES for the Wildlife Division, which would ensure that e-certificates were issued paperless and expressed excitement it was very much in line with the September 1 deadline alongside the e-manifest and e- warehousing modules already in operation . He said among the other e-solutions deployed is the introduction of GCNet’s Letter of Commitment (LOC) for the Bank of Ghana which has aided in the elimination of human elements and interference in export monitoring as well as ensuring in the tracking of exports proceeds into the country and also boosting the availability of forex in the economy. He announced that there has been service upgrades on GCNet applications for regulatory agencies and other players in the trade facilitation space, all in a bid to ensure that the vision to go paperless which GCNet spearheaded in 2011 is fully realised and the benefits accrued to the citizenry. In a speech read on his behalf, Minister of Trade and Industry, Mr. Alan Kyerematen noted that trade facilitation had increasing become an important tool in integrating economies into global value chains, creating wealth among nations while generating employment. He expressed his Ministry’s readiness to work with all stakeholders to ensure the full realisation of the recommendations from the Committee on Port Efficiency following the major reforms announced by the Vice President, H.E Dr. Mahamadu Bawumia at the Ports Efficiency Conference held in May 2017. The Trade Minister expressed optimism about the benefits of the Government directive to go fully paperless which include reduced costs, enhanced collection of fees, streamlined and automated business processes and compliance to best international trade practices. The National Trade Facilitation Awards (NTFA), is an annual event organised by the Ministry of Trade and Industry (MOTI) in partnership with Ghana Community Network Service Limited (GCNet) and Ghana Revenue Authority, to reward excellence in the country’s trade facilitation industry. The award scheme is also to provides the platform to encourage Ministries, Department and Agencies (MDAs), freight forwarding agencies and other relevant bodies to work towards the attainment of international best practices in trade facilitation by reducing turnaround time in the issuance and approval processes of licenses, permits and exemptions for imports and exports transactions within 48 hours while ensuring safety and security. This year’s event was on the theme ‘Deployment of e-Applications for the Efficient and paperless Processing of Trade and Customs Transactions’. It had new award categories including Best Shipping Line and Best Transitor among others. Bollore Africa Logistics Ghana Limited was adjudged the Best Large Freight Forwarder for 2016 while Adu Max Limited emerged the Medium Freight Forwarder for the same period. 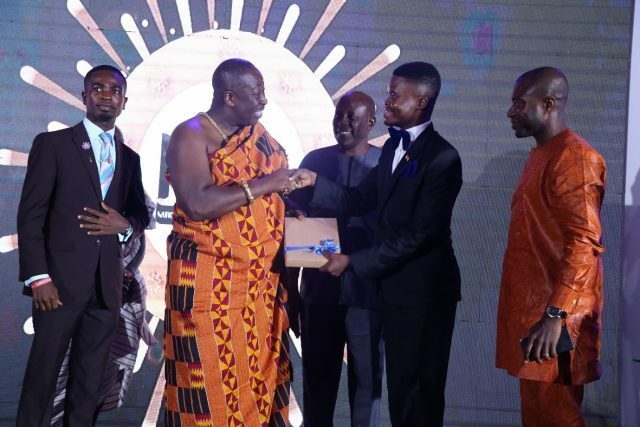 The Best Terminal Operator at the Tema port went to Safebond Car Terminal Limited while Swissport swept home the Best Terminal Operator at the Kotoka International Airport. Grimaldi Ghana Limited came tops as Best Large Shipping Line while Antrak Ghana Limited Takoradi received Small Shipping Line in that category.